Top Five Features For Salesforce Community Cloud. Salesforce Spring ’17 Release. 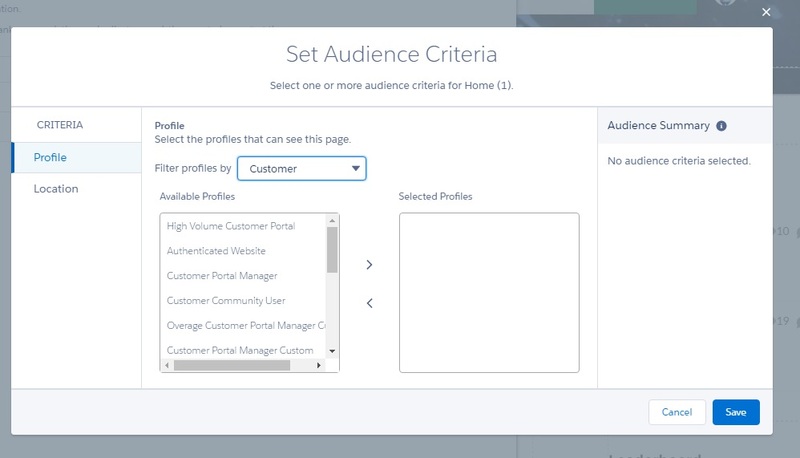 Select one or more criteria types to create basic or advanced targeting rules. Easily see who has access to each page or group with a quick, at-a-glance summary. Audience targeting enables a unique experience for every user, and the ability to customise groups according to specific business needs, such as sales or service. 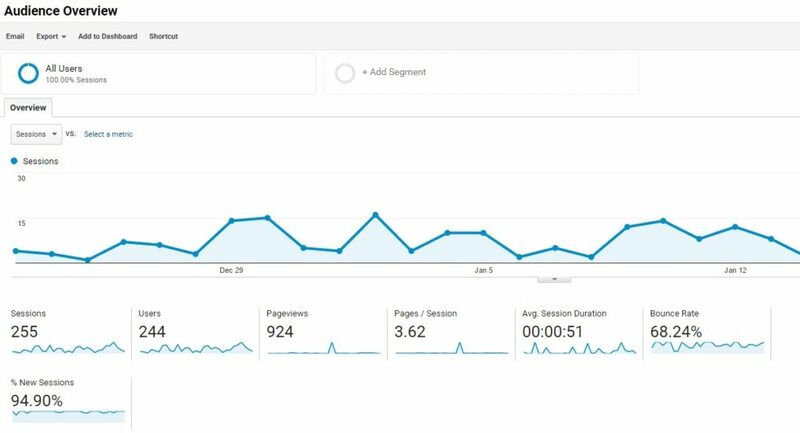 With advanced Google Analytics, understand the effectiveness of your self-service community on case deflection, through real-time data on how users use the community. Track the search keywords, discussions and articles most used to deflect cases, or what users have clicked on or viewed before a case is created. Get deeper insights on page view traffic by leveraging community dimensions, such as user ID, user type, or Salesforce objects. Salesforce CPQ and Salesforce Wave are available for Lightning Partner Community. 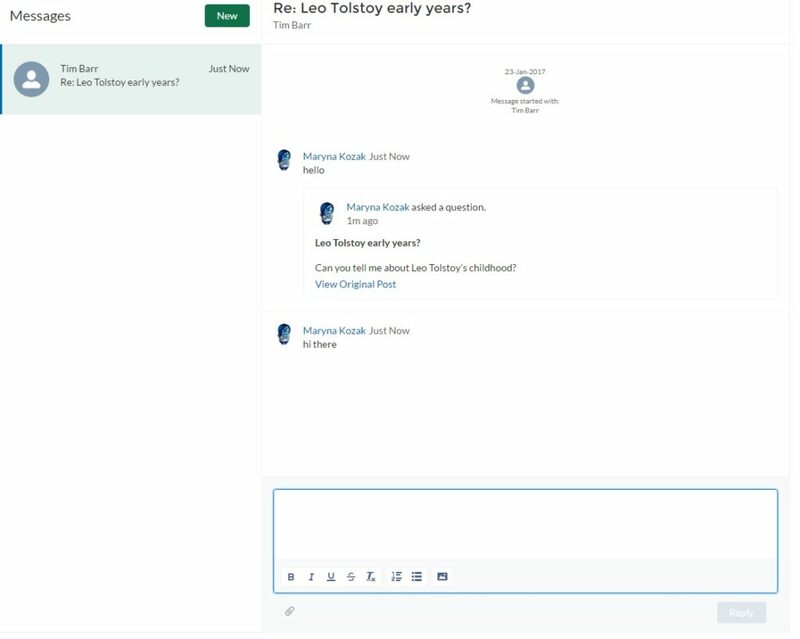 With CPQ, partners can create fast and accurate quotes and send customer-ready proposals to prospects in minutes, all directly in the Partner Community. Wave transforms the way partners explore data, find answers and take actions to maximise business performance. Partners can see a 360⁰ view of their business and drill down into the data to identify new opportunities. Chatter continues to be more dynamic than ever. Personalised Chatter Streams let you stay organised and up-to-date on the most important conversations on Chatter. 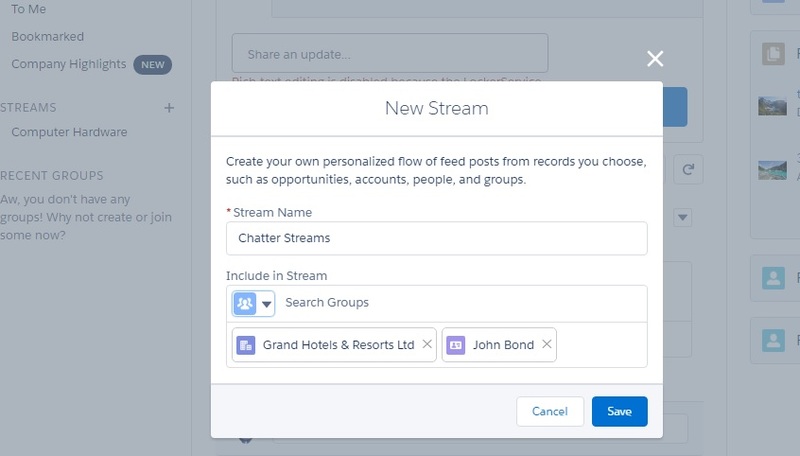 Create personalised feeds for any record, group or individual, and easily follow them in one stream. Let’s say you want to follow all the updates from the particular opportunity, account and contact simultaneously. With Chatter Stream, it’s so easy to do that! Just add the items to your Chatter Stream list, save it and stay informed. Use streams to maximise productivity by getting the most important updates on key deals and accounts in a single place. Now, with Direct Messages, you can empower community managers to have one-to-one or one-to-few conversations with members on topics that may be better addressed privately. 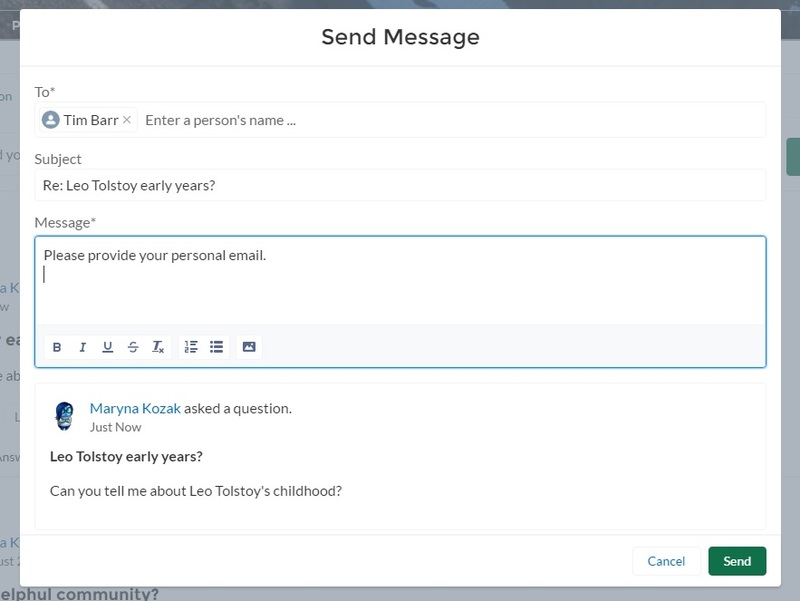 Start a message directly from a post or question in the community, or from a user’s profile. Direct Messages support file attachments, so you can share files with users privately. These are just a few of the new features in Salesforce Spring ’17 Release. You’re sure to find something useful for your organisation in this release.